So your Dad constantly talked about the family business over the Sunday supper each week. Consider yourself lucky—that shoptalk will likely provide a leg up as you strike out as an entrepreneur if you go into the same line of work. A recent study found that male entrepreneurs who start firms in the same industry as their fathers tend to significantly outperform those rivals whose fathers worked in other fields. The study suggests that what it calls “dinner table human capital”—industry knowledge obtained by children from their parents—is a key factor behind what kind of businesses entrepreneurs start and, more importantly, how successful they are. Just 4% of the male entrepreneurs surveyed launched their businesses in precisely the same fields as their fathers, while 58% went into related industries and 42% ventured into totally unrelated fields. Following in the footsteps of one’s father turns out to be a smart move. Four years after incorporation, the survival rate for those companies started by entrepreneurs plying the family trade was 6% higher than for the other two groups. More dramatically, sales for this small group of enterprises were more than double, on average, than those of the other two groups. Assets were significantly higher too. Starting a business in the same industry as one’s parent’s gives a head start through the acquired knowledge, the researchers claim. Despite the study’s reliance on Norwegian data sources, the researchers say that the findings are more broadly applicable. Interestingly, smarter entrepreneurs, as measured by their tested intelligence quotient (IQ), tended to opt for industries that were not related to those of their fathers. Indeed, high-IQ entrepreneurs are more than four times as likely to go into technology as their low-IQ counterparts. 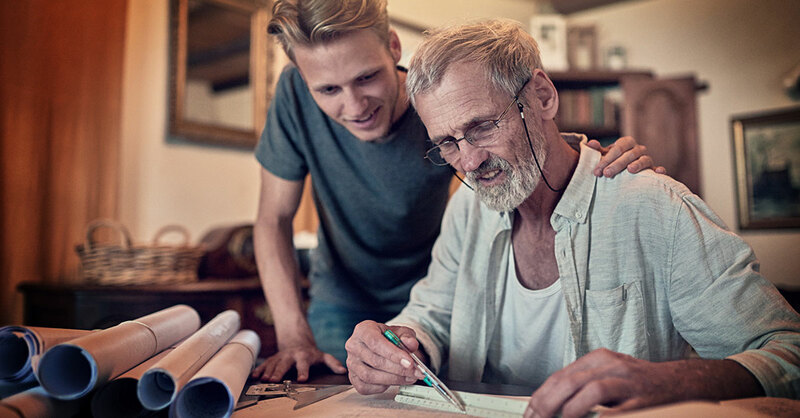 Entrepreneurs who follow their father’s trade tend to do so in what the professors call “traditional” trades, such as construction, transportation and so-called hospitality industries like hotels and restaurants. They say these are trades with relatively low levels of education. “Individuals with relatively low aptitude, as measured by IQ, tend to start companies in the same industry as their fathers worked,” the authors write. “For high-IQ entrepreneurs, the value of the opportunity may be greater in a sector that has higher returns to intelligence,” the study says. That makes sense. On it’s face, it may seem potentially more lucrative for young Lars to start a software firm that requires a high IQ and more education than to open, say, a trucking company like Dad’s. Still, the upshot is pretty clear: When prospective entrepreneurs get some fatherly advice about plying the family trade, they should take it.